Greetings, fellow Rowrbrazzle members! We've weathered some storms recently, but clearer skies are on the way -- just in time for the Holiday Season! That's it for now, gang. 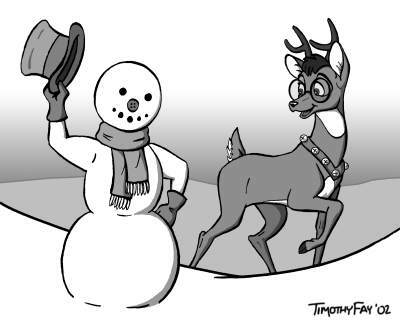 Have a Happy set of Holidays, and I'll see you all in the next year's issues of Rowrbrazzle!